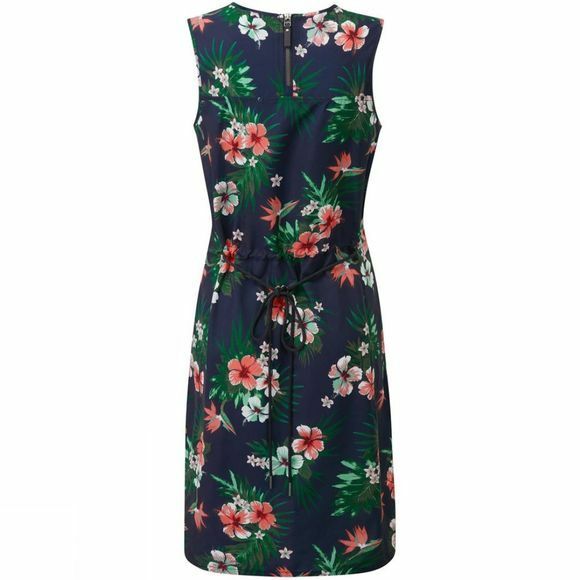 The Women's Tioga Road Dress from Jack Wolfskin will keep you cool while looking stylish and beautiful whatever the occasion; from strolling through the farmers market or along the beach to BBQ with friends and family. The practical details include neck zip at he back, hidden zip on the left side for easier putting it on or off, two front hand pockets and integrated belt. With Jack Wolfskin embroidery detail at the bottom hem. Your perfect companion this season! 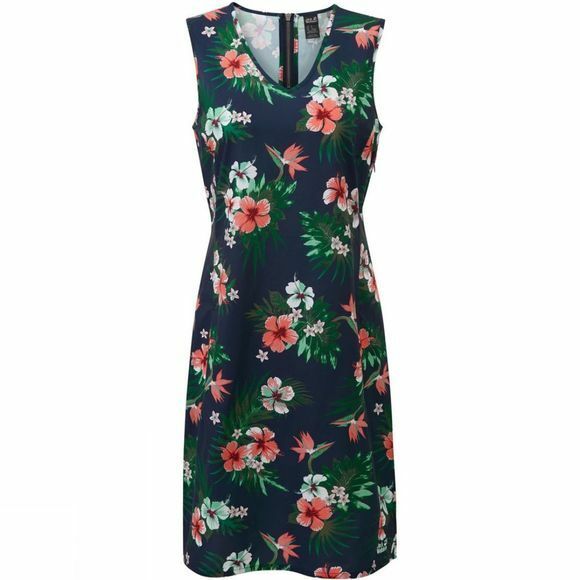 The dress has Quick Moisture Control and it is bluesign certified product which represents responsible use of resources and it’s produced with a minimum impact on people and the environment.